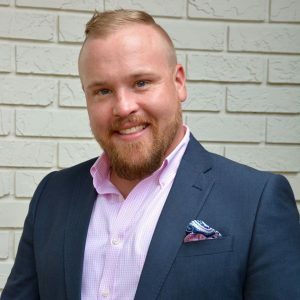 Adam Keller is a Mobile/Scrum Product Owner, and works closely with our clients as our development team engineers their custom mobile applications. I have worked in and around software development for over a decade, and am an ardent Agilist. The Agile Mindset is fueled by compassion and teamwork, and that is why I embraced the Scrum Process. I have been extremely involved with the Florida Agile community; even hosting my own Lean Coffee for several years, which provided Agilists in the Tampa Bay market a platform to discuss experiences and ask questions. My experience as a Scrum Product Owner, married with Venuetize’s commitment to Agile, has created a complimentary partnership. I love watching software come to life, evolving with the change of business needs, and that is why I do what I do. The collaboration. I love working closely with clients, understanding their business initiatives, and delivering applications and features to support their mission. Outside of the partnerships with my clients; Venuetize has an amazing team who have been a joy to work with, and have helped me grow substantially. First and foremost: my family. My wife and children motivate me in everything I do (I also have a Doberman Pinscher named “Dutch” after Phillies’ great Darren Daulton, a cat, and a duck in the family…yup, we have a duck). I am also an avid drone pilot and photographer, die-hard Philadelphia Eagles fan, fanatical mountain biker, and Harley-Davidson enthusiast. If you could do anything else for work, what would it be? I would be a photographer for National Geographic, touring every corner of the globe, documenting the human condition. Despite working in the IT Industry, I still often tote my Nikon around with me, and maybe one of these days I will have the opportunity to publish my life’s work. I was an Altar Boy in the Philly ‘burbs.